The first TV Commercial was broadcast today at 8.12pm. ITV launched 60 years ago today. ITV was launched 60 years ago today, and broadcast the first ever TV Commercial in the UK. It marked a change in the way TV was created and allowed companies to access the most exciting advertising platform in the world. For the first time, advertisers could create moving video adverts, giving birth to a whole new kind of Advertising Agency. TV Commercial creative has in some ways evolved significantly over the last 60 years. However, in some ways, today’s TV Commercials follow the same principle structure that was used all that time ago. The Press Release issued by ITV – Britain: as Seen on TV covers ITV’s services that provides an interesting insight into the way our culture has changed and grown. The balance between Public Service Broadcasters and Commercial TV Broadcasters, which at the time were solely the BBC and ITV meant content wasn’t just intended to be competitive in audience viewing figures, it also had to be rich in content content value. It was this balance that led Britain to have the best Television Broadcasting service in the world. Since that day, we’ve seen the restrictive analogue broadcasting system turned off, with every TV owning home (the very significant majority) now able to enjoy a crystal-sharp multi-channel TV service. Recent technological advances mean that regional TV can now be even more localised – down to even the first two letters of a postcode area – so it’s great for SMEs and local trades, as well as enterprise sized businesses looking to run a scalable campaign. Concept TV was formed over 11 years ago to take advantage of the new TV Advertising potential offered by the analogue switch-off and consequential growth in Digital TV Channels. Today, TV Advertising is still the fastest way to reach an audience in the UK, and Concept TV offers one of the most affordable ways to do it. Want to know more about this, or find out prices for advertising? Call us for a no-obligation chat on 0203 002 92 42. Your cameras mega-pixel count is now inadequate… Canon’s just made a 250 mega-pixel CMOS sensor..! 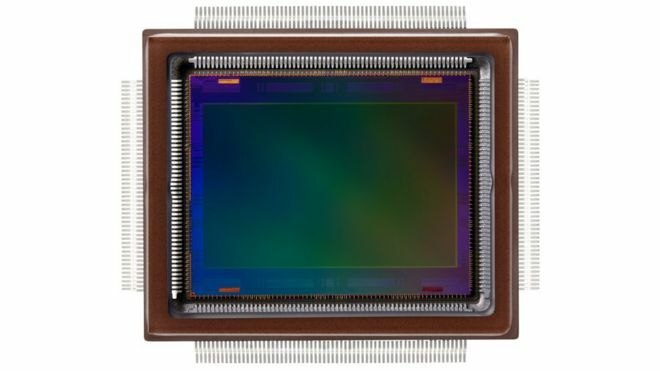 Canon’s 250 Mega-pixel CMOS Sensor. Canon make a 250 mega-pixel sensor. We’ve just read this article at the BBC – BBC News : Canon develops 250 megapixel camera sensor. We’re impressed here at Concept TV. Not only does this mean that you’ll be able to count the hairs on the leg of a caterpillar, like you now can in 4k footage, you’ll be able to measure their lengths. When will the industry adapt Canon’s new technology? Luckily, Canon don’t see this making its way into consumer cameras or smartphones anytime soon. I say luckily – because managing the digital workflow / resources for an edit of a 30x 4k resolution video has our minds boggled. If we wanted to give an idea of how that would compare, imagine trying to watch an HD video from modern times on an old BBC Micro. Don’t get us wrong, we can’t wait to see video cameras from the mighty Canon that uses one of these sensors, but before the tech’s get that, the whole industry needs to invent screens capable of showing that footage, and they need a new name to describe the resolution. We’ve had Widescreen, HD and now Ultra-HD – so where next? Our money (not literally!) is on HD-EXTREME, but thats just a guess. Our techies here think we’d need a 5 or 10 petabyte RAID system to make a commercial. Amusingly, in 20 or so years, we probably will. But right now, (and using our incredibly geeky BBC Micro 80’s computer simile) that seems like a lifetime off. I mean really, who could possibly use more than 640 kilobytes? Sorry for the overly technical blog post here – we’ll try to make the next one more grounded in TV Commercial Production and Broadcast.